Jason Frasor has a Blue Jays franchise record that will probably never be broken. 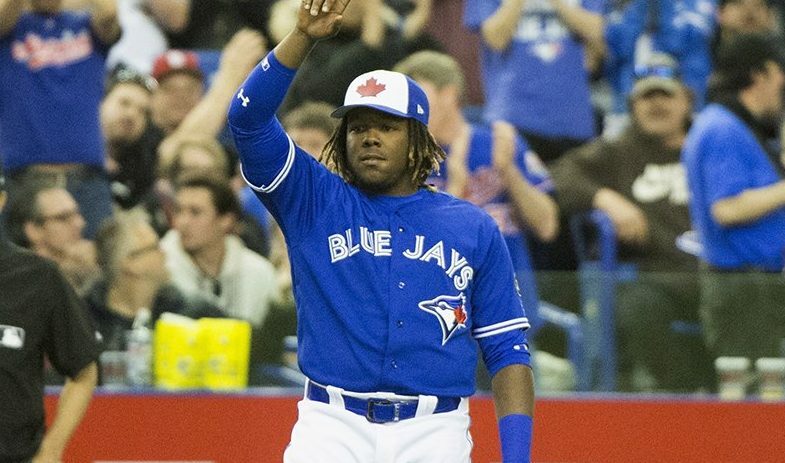 Over his nine seasons with the Toronto Blue Jays, he amassed a staggering 505 appearances. The next closest player on that list is Duane Ward with 450 appearances. It’s a testament to the reliability of the former right-handed reliever. During his tenure in Toronto, he logged 60-plus appearances during five of his nine seasons with the Blue Jays. In an era when pitchers constantly broke down, Frasor rarely did. He was one of the many Blue Jays alumni to participate in Blue Jays Winter Fest last weekend. 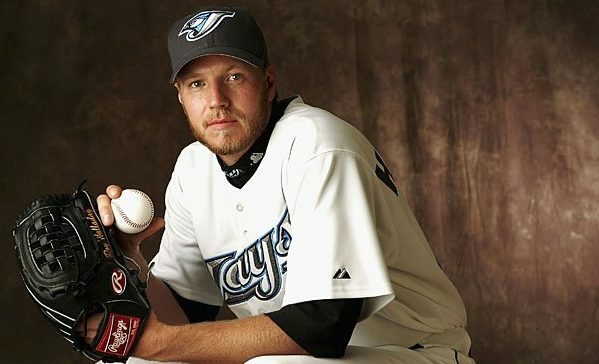 With the 2019 Hall of Fame inductee announcement on the horizon, Roy Halladay’s name was top of mind with many of his former teammates, Frasor included. Frasor and Halladay shared the same locker room for six seasons with the Blue Jays, from 2004 to 2009. Out of all the teammates Doc played with spanning his 16-year career, he rode the team charters and shared the same clubhouse the longest with Frasor. As a pitcher who threw 67 career complete games, Frasor said the Blue Jays bullpen often kicked back the night before a Halladay start. Doc was at the top of his game near the tail-end of his Blue Jays career, but Frasor laments not fielding a better Blue Jays team to surround the future Hall of Famer. He was so good and it’s actually too bad that we stunk for those ten years that he was in his prime. If we were halfway decent, how does that guy not win 25 games every year? He was that good. For those ten years, who was better than that guy? Frasor never logged a playoff appearance in a Blue Jays uniform, but he practically beamed when speaking of his stint with the 2014 Kansas City Royals. The upstart Royals snuck in as Wild Card team and won eight consecutive games to hoist themselves into the World Series. They came within one victory of winning it all. Frasor admits that as a Blue Jay player, the team viewed the Royals as one of the doormats of the American League. That all changed in July of 2014 when he was traded to Kansas City and reunited with his former Blue Jays teammate, Scott Downs. “I was very comfortable in Texas. And all of a sudden, you get the call, ‘you’re traded to Kansas City’. Who do I know in Kansas City? Downs is in Kansas. The veteran entered a youth-driven clubhouse in Kansas City. The 2014 Royals were propelled by homegrown talent like Eric Hosmer, Mike Moustakas, Salvador Perez and Alex Gordon. Despite coming in mid-season as a mercenary, Frasor felt more at home in Kansas City than he ever did. Frasor savoured his first opportunity to pitch in the postseason. He performed under the big lights in Games 1, 3 and 6 of the 2014 Fall Classic. It was a bittersweet ending to a storybook season for the Royals, but they came back in 2015 to win it all. As the 2015 American League Championship series rolled around, Frasor found himself staring at two of his former teams duking it out. He established his roots as a big league reliever with the Blue Jays, but he professes he was cheering for the Royals because he had a World Series ring at stake. The Chicago native was traded away from Kansas City to Atlanta in July of 2015, but he was still eligible to receive a World Series ring. To this day, Frasor still has the ring at home, but he says he rarely ever looks at it. The ring he cherishes more is the 2014 American League championship ring he won as a member of the Royals. The time comes in every player’s career when they must decide when it’s time to walk away from the game. One of Frasor’s former teammates, Ricky Romero, recently announced his retirement. Frasor recalls when he was ready to hang up his cleats for good. He’s nearly four years removed from his last MLB game, but Frasor is still connected to baseball. Not as an advisor to a big league club, but at the grassroots level where he developed his own love for the game. He’s the proud coach of a little league team of eight-year-olds in Tampa Bay. “It’s the reason I get up in the morning … to coach eight-year-old kids. I really love doing it.